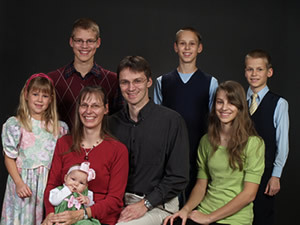 Last week the US Department of Homeland security said that Romeike family will not be deported back to Germany. I have been following and praying for the Romeike family who were seeking asylum in the US after fleeing the repressive legislation against home educators in Germany. When I attended the Global Home Education Conference (GHEC) in Berlin in 2012, I met the HSLDA Director of International Affairs Mike Donnelly who was part of the legal team who defended the Romeike family in court. The Romeikes were initially granted asylum based on religious discrimination, but then the Obama administration appealed the ruling and won. Last Monday the Supreme Court declined to hear the appeal and it looked certain the family would be deported. Then, unexpectedly, just one day later, the Department of Homeland Security said they could stay. He was thrilled, and said that thousands of home educators would be rejoicing at the good news. For more information click here. We also praise the Lord for his work in changing the heart of men, when all seemed lost. Here in Australia, we give thanks that home education is legal despite over-regulation. May we continue to support homeschoolers around the world, and particularly Christians who do not want to send their children to government schools to be indoctrinated by the state worldview.